Uber raised $3.5B from the sovereign wealth fund of Saudi Arabia. The fund will also get a board seat. Nutanix updated its latest Financial Statements, which included an 12% boost in quarterly revenue (now at $114.7M), and an interesting $75 million bond issuance, with Goldman Sachs as the sole lender. Blue Apron is reportedly planning to go public at a $3B valuation in the next 12 months, according to Bloomberg. As the job market becomes more competitive in some industries and unemployment holds steady and even drops in certain regions, job site Glassdoor is reaping some of the rewards. 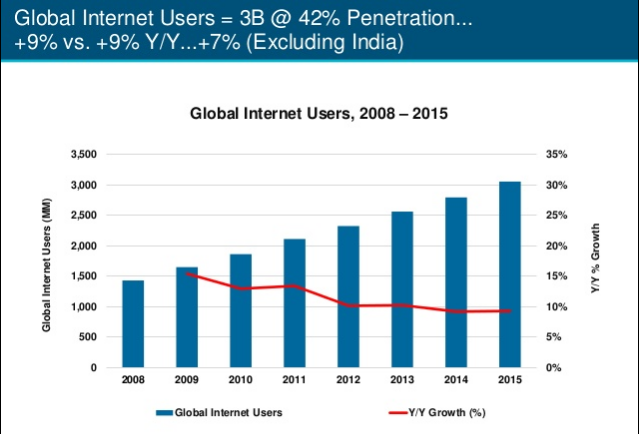 Mary Meeker of Kleiner Perkins Caufield & Byers, released her annual report about the state of the web. A good indicator that an industry has arrived is when the top venture capital firms begin investing in it.